Are you in the beginning stages of a kitchen remodel project? Have you been considering an affordable way to enhance the overall value of your home without breaking the bank? Consider a kitchen remodel as a way to refurbish your home; it’s a great way to change the look of your kitchen without committing to a long term construction project. At New Form Kitchen, our kitchen showroom in Orange County features a range of different styles and choices for your dream kitchen. Depending on your taste, you may be in the market for modern kitchen cabinets. 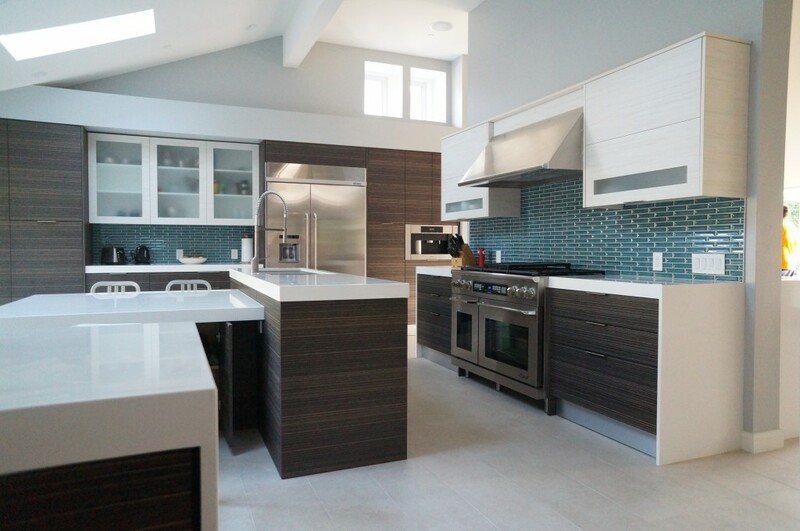 Over the past several years, contemporary kitchen design has become more and more popular. People want fashionable kitchens the same way they desire the latest designer purse or high heels. Our team of skilled designers knows exactly what you’re looking for. We will listen to you describe how your dream kitchen looks and feels. We’ll listen to the details of your vision and then we’ll point you in the right direction so you can have the most stylish kitchen amongst your friends and family. Our kitchen showroom in Orange County allows you to look, touch, and fully experience what your dream kitchen will be like. Our variety of modern kitchen cabinets are sleek, stylish, and highly durable so they’ll withstand the test of time and stress. Your modern kitchen will standout and reflect your personality. Your friends and family are sure to be impressed by your taste and always remember the fun experiences you share in your kitchen. At New Form Kitchen, we only use the highest quality wood and the most experienced contractors to implement our kitchen cabinets. We are professionals to the utmost degree. When you decide to visit our showroom, you’ll meet one-on-one with a professional designer that will gladly show you all of the choices you have for your kitchen. Our kitchen showroom is conveniently located in Orange County. Orange County is the third-most populated country in California and encompasses various cities like: Anaheim, Santa Ana,Irvine, and Huntington Beach. So, if you live in the Orange County area and are looking for a kitchen showroom that’s easy to get to and has convenient hours of operation, you’ve come to the right place. Our kitchen showroom showcases modern, traditional, and custom European-inspired designs. Our craftsmanship is unsurpassed and our contractor’s expertise is palpable. When you decide to visit our showroom, you’ll be happy you did because New Form Kitchen has been serving the community for years.